Build an outdoor experience that your neighbors will envy and your customers will appreciate when you hire a proven landscaping company in St. Louis, MO. Baker Landscaping & Concrete, LLC is a leading source of landscape design and hardscape installation. We create functional and appealing patios and vibrant lawns that improve the value of any home or business you own. Your lawn is more than just a stretch of grass in need of mowing. The natural landscape that surrounds your home is a source of pride for your family. Maintaining your existing lawn can often be time-consuming and expensive. The cost and complication involved with maintenance can prove overwhelming without an experienced landscaper in your corner. Bring the garden of your dreams to life and set the standard for your surrounding neighbors. Look to Baker Landscaping & Concrete, LLC for all your residential and commercial landscaping in Missouri. Our skilled professionals can create an outdoor experience that will enhance your curb appeal and overall property value. We are proud to be your leading source of landscape design and hardscape installations since 2003. Our dedication to our craft and customers are showcased in every project that we complete. Work with a team of landscaping professionals that take the time to learn more about your needs. We create functional landscapes that make the summers more enjoyable and your home more attractive to potential buyers. A great first impression is critical for any business. Even if your location is not a customer-facing establishment, the impact you make on your employees matters as well. A traditional lawn care company is only capable of so much when it comes to remodeling your surroundings. An average lawn can become a valued asset with the right approach to design and maintenance. When employees and clients approach your business on a customized paver walkway, they will understand that you mean business. We build customized retaining walls and paths without the need for subcontractors or outside assistance. 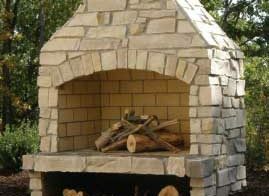 Our comprehensive plan for your surroundings includes irrigation and outdoor installations like kitchens and fireplaces. Your exterior is capable of providing you with enjoyment during any season of the year. Start a conversation with our designers about your ideas for a new landscape. We offer residential landscaping for area homeowners and commercial landscaping for the businesses that make our community something extraordinary. Choose one source for everything outdoors, and make a solid first impression with any visitor. Whether you are seeking St. Louis retaining walls or you are in need of lawn maintenance in St. Louis, MO, we create functional and appealing patios and vibrant lawns that improve the overall aesthetic and health of your property. Maintaining your existing lawn can often be time-consuming and expensive without an experienced landcaper in your corner. Depend on our knowledgeable team to help you achieve the landscape of your dreams. Contact us today at (636) 282-4140 to schedule a comprehensive consultation with one of our technicians and learn more about what we can do for you.